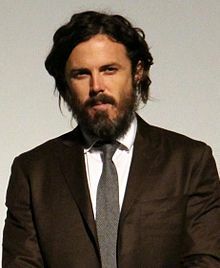 Caleb Casey McGuire Affleck-Boldt (born August 12, 1975) is an American actor and director. His breakthrough was in 2007, when he was nominated for the Academy Award for Best Supporting Actor for his performance in The Assassination of Jesse James and received further acclaim for his role in Gone Baby Gone. For his performance in Manchester by the Sea (2016) he won the Golden Globe, BAFTA and Academy Award for Best Actor. When people ask me why I don’t eat meat or any other animal products, I say because they are unhealthy and they are the product of a violent and inhumane industry. Chickens, cows, and pigs in factory farms spend their whole lives in filthy, cramped conditions only to die a prolonged and painful death. From a PETA video (6 February 2013), reported in "Casey Affleck’s ‘Go Vegan’ PSA", in peta2.com. This page was last edited on 13 August 2018, at 15:02.